Whether you’re looking for a relaxing weekend break in a fully furnished self-catered caravan, or to own your own holiday home in beautiful Kent, The Foxhunter Park is truly unique with world-class facilities. And get a free brochure. 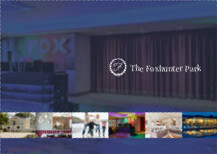 Why Choose The Foxhunter Park? The Foxhunter Park is a luxury five star holiday caravan park situated in the village of Monkton, near Ramsgate on the beautiful Kent coast. We are only a short drive from the coast, which boasts miles of…. “We like The Foxhunter Park so much we have just bought a second caravan so the whole family can come and enjoy it together”. Our stay was much better than anticipated, having never stayed in a caravan before. The caravan was excellent, with more than adequate appliances. The park was beautiful and well maintained, food also very good in the restaurant. Staff very welcoming, friendly and helpful. First impression, in reception, reflected the standard of the park… very nice to see staff wearing suit, shirt and ties. Keep up the good work, we will definitely be back!